Theme Trip - Creative Activities and Adventures for the Entire Family! Looking for Cures for Boredom? From unique travel destinations to impromptu In-A-Day family fun, we explore the possible! Creative ideas for the entire family. Date ideas, kids activities, unique adventures, family fitness, reviews and giveaways. Click to your next adventure. 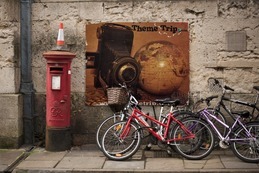 Definition of ThemeTrip: An activity based on a set theme. Ideas you can use to create your own memorable and interactive family adventures at home or on vacation. Join us on Facebook, twitter, and pinterest. 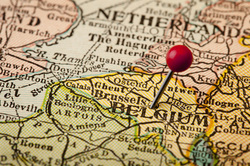 SAFETY TIP: Turn OFF your GPS feature on your cellphone when uploading pictures while you are on vacation! Many smartphones contain GPS information called geotags in which you can inadvertently give your whereabouts with an accuracy of plus/minus one meter depending on your reception. This can alert people when you are away from home as well as identify your child's location if they are uploading to social media! Themetrip Disclaimer: Themetrip is an idea-sharing website. As with all of our recommendations, we suggest you verify the information and reputation of each company before choosing them. Our recommendations are for information and amusement purposes only. 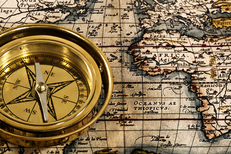 Our Themetrip tips may contain links to third-party websites, special offers, tours, advertisers, services, or any other activities or events that are NOT owned or controlled by Themetrip.com. However, Some products mentioned on ThemeTrip posts have been received for evaluation purposes for free and/or we received compensation. ThemeTrip is an affiliate for one or more of the products, links, and banners on this site which means we my receive compensation when you click the link. Therefore, your participation or accessing of any third-party links is at your own risk. Themetrip will have no liability arising from your use of any third-party sites including material, products, and services. We do not own, operate, or endorse any third-party activity. I am disclosing in accordance with the Federal Trade Commission 16 CFR, part 255 Guides concerning the Use of Endorsements on Testimonials in Advertising. Thank you for your understanding.